Improved product performance and reliability with the redesigned SY series valve. 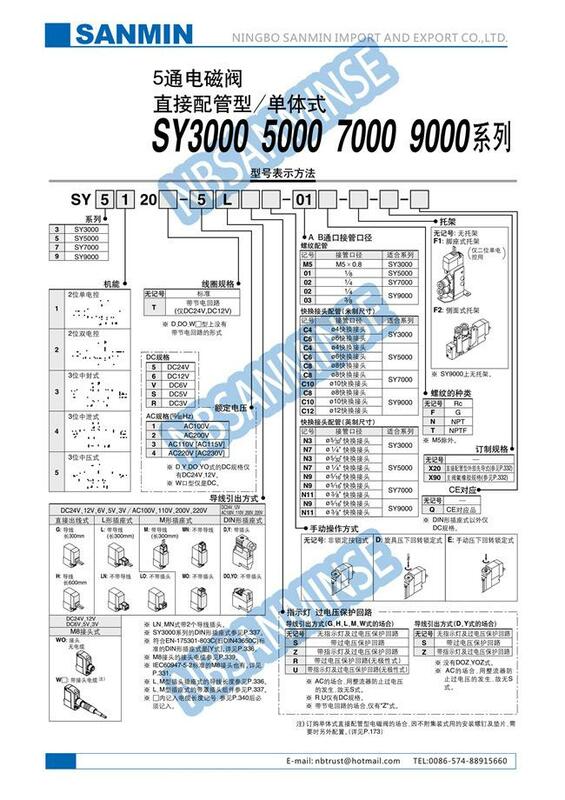 The SY3000 and SY5000 have the same valve width as their predecessors, but the flow has been increased by up to 80%, allowing the valve size to be reduced. A built-in strainer in the pilot valve prevents trouble caused by foreign matter. By using H-NBR seal material for the main valve and seals, Ozone resistance has been improved. Side, top and bottom port/pipe directions are available to allow flexible installation. The SY is available in body ported or base mounted styles, and can be used individually or manifold mounted. 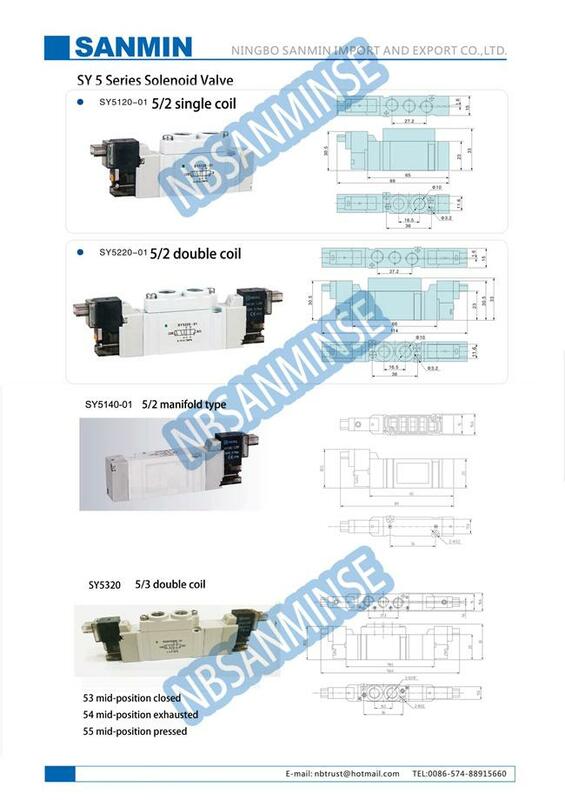 1: Various style for each products and completely series pneumatic products . 2: Large stock for fast shipping . 3: High quality with competitive price . 4: Sample order & small quantity order is acceptable . 5: Customize according to your special request . 6: Provide free products information . Q: Could you offer the free samples ? Q: What ' s your business scope ? Q: What ' s your delivery date ? our aliexpress shop, If you need emergency products , we can speed up the production of the first arrangement . Q: what types of products you can make ? 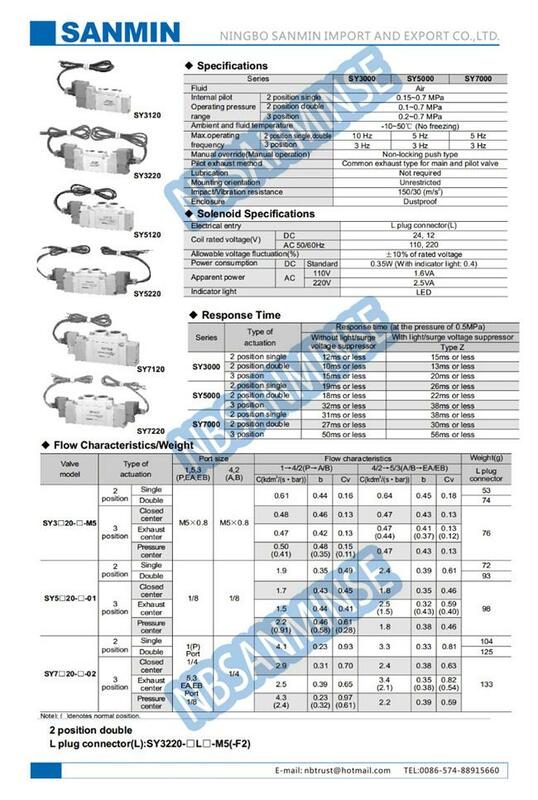 valve / electric valve / pneumatic valve and air cylinder products and so on . Q: Do your company have specialized technical personnel ? Our products are high quality with 12 month guarantee ,and support paypal payment. 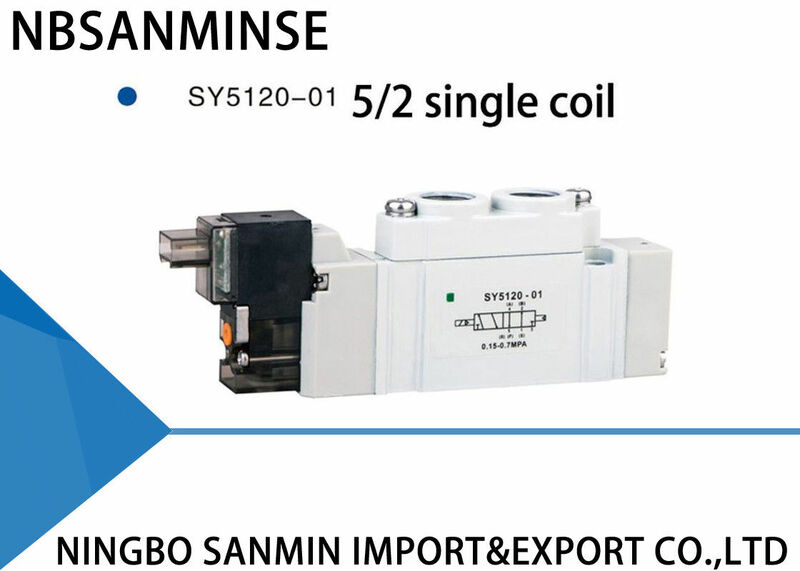 Port Size: 1/8" , 1/4" , 3/8"
Port Size: G1/8" , G1/4" , G3/8" , G1/2" , G3/4" , G1"
Port Size: 1/4" , 3/8" , 1/2"